Last week I discussed whether or not Harriette Wilson’s memoirs were true. This week I will share two of the lies she told. They are the most heart-wrenching lies I have ever heard. I cried when I found out about this. The truth is really disturbing. But before I tell you the truth, here is the background for this short series of posts looking behind Harriette Wilson’s memoirs to discover the things she didn’t say. If you’ve already read this, read on from the line of bold type. If you have been following my blog for a little while, you will know that Harriette Wilson, the real Regency courtesan who published her memoirs in 1825 as a kiss and tell series, inspired the first novel in the Marlow Intrigues series, The Illicit Love of a Courtesan, I have been sharing the version of her life she told in her memoirs here for about a year, but over that year so many times people have told me – but it’s known she lied in them. Well recently, I discovered the work of someone who has researched Harriette’s real life, and so I can now share with you some of the things she did not include. As to whether or not she lied, well I will also cover that… But… I will say now, I have used her memoirs as a wealth of insight into the Regency world, her writing is like looking in through a window to see how life was for someone who lived then, and yes, you can definitely spot the scenes where there is some embellishment, either because she was writing for an audience, or because she wished to hurt someone who had hurt her… But overall, many of her scenes are from truth. Plenty more of this in the next couple of weeks, including some insights which I have found really upsetting. 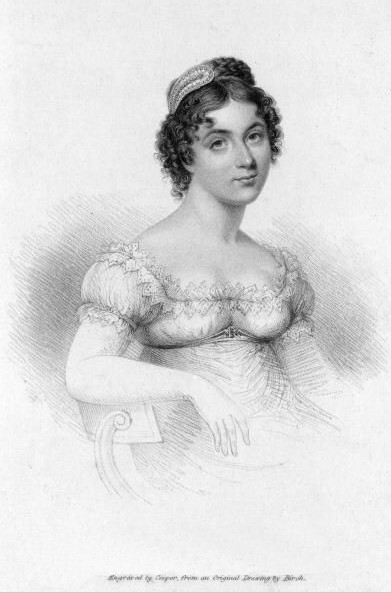 I first read Harriette Wilson’s memoirs, published in 1825, probably nearly ten years ago, and when I read them the part I found most moving, was her relationship with Lord Ponsonby. Harriette fell in love. There is no doubt about that. It was not a lie. In her memoirs, Harritte tells her readers that she fell in love with Lord Ponsonby when she did not even know who he was. She saw him in Hyde Park, walking his dog. Throwing a stick for it. Once she’d seen Lord Ponsonby, she went back to the park night after night, with anyone who she could persuade to accompany her, or even alone… just to see him. Then she found out where he lived and followed him. For weeks this non-relationship persisted. She was in love, but she had not even spoken to him. But then one day, he rode past her house on his horse. She ran up to the roof of her house so she could spy on him, and saw him turn his horse at the end of the street and ride back along it, past her house. That was Harriette’s first indication that Lord Ponsonby returned her interest. At the time I think Harriette was in her early twenties, certainly she was young, she might have even only been nineteen, but she was at the height of her fame. She was well-known, and embedded among the most senior members of the aristocracy in Britain. It was when he attended the opera, that she discovered his name, and then she wrote a letter to him, and he wrote a letter back to her. Then he came to meet her… They did not make love on the first occasion, he was too tired, he had been sitting at his father’s bedside, night after night, through a long period of ill-health. But the next time he visited Harriette, she records the visit as something extremely special. Throughout her memoirs she refers to Lord Ponsonby as the only man she truly loved. She constantly looks back to the three years she spent with him as the best time of her life, and compares every man who came after him to him. He became her yard stick of what she was looking for in a man, and no one successfully competed. (okay so maybe you can hear a little reflection of Robert in The Passionate Love of a Rake – yes Harriette’s voice and memoirs have influenced an awful lot in my books). So why did she part from him, well here is the lie… She said in her memoirs he developed a conscience and decided to end their affair so he could be faithful to his young, beautiful, wife. He did not end their affair for that reason. So how do we know the truth? Lord Ponsonby was a man who kept his letters, and in the collection of letters at his stately home, are letters between himself and others, and even from Harriette to him. So there is not doubt at all about the real truth Harriette did not tell. Frances Wilson researched and published the truth in 2004. Frances’s view on Harriette’s words about her love affair with Lord Ponsonby was that Harriette did not know how to write about it, so she stole a style of writing from other works and used that in her memoirs. I don’t think that. The language Harriette uses in her memoirs always changes when she mentions Lord Ponsonby, her words become heartfelt, because they were heartfelt, he broke her heart. Not only that but he ripped it in half and ripped it out… and left her in pain for the rest of her life. The love she had for him, had been love at first sight, and right from the beginning it was that all-consuming love that can turn a sensible person – possessive, jealous and even deranged… She was MAD for him, and that is the position she writes from. I guess maybe you can only really understand that sort of love, that can endure for a lifetime, even if the person was cruel to you and let you down irrevocably, if you have experienced it. I have, and I can hear that in Harriette’s words. So what was the truth that Frances discovered. Harriette did have a three-year relationship with him. They were close, so close he told Harriette secrets about a former mistress of his, and gave Harriette letters from a former lover, so at some part of their relationship, he had thrown his whole self into it. But I would say it is extremely unlikely that he actually loved her back. Did she watch him in Hyde Park for weeks before she spoke to him? Probably yes, certainly letters he had kept from friends tease him about the things Harriette wrote about him. So it is likely that they could well be true. When they parted did she refuse to take an envelope containing the money he owed her as an end-of-relationship-settlement? That we also know is true, as I said last week, when she was writing to him asking for money at the point she published her memoirs, she raises this money that she did not take from him at the point they separated. Did that conversation take place in the early hours of the morning in a carriage outside Parliament, as Harriette said it did, after she had sat and waited for him in his carriage, while he attended Parliament? We don’t know. Was he agitated the day he parted from her, and quieter than normal all day, so that she sensed something was wrong but did not know what? Again we don’t know. Did she know the true reason why he was leaving her at the point he did? We don’t know. But what we do know – is that he did not leave her to be more loyal to his wife. He left her to commence an affair with Harriette’s quite possibly virgin, thirteen year old sister… Sophia! I said at some point when I was retelling Harriette’s memoirs, that so much of what she said about Sophia rang with nastiness, that I was never sure if it was true. Again, my only judgement was based on the style of language Harriette used, but whenever she speaks of Sophia,she is vicious in a really strange way… Well now I know why! 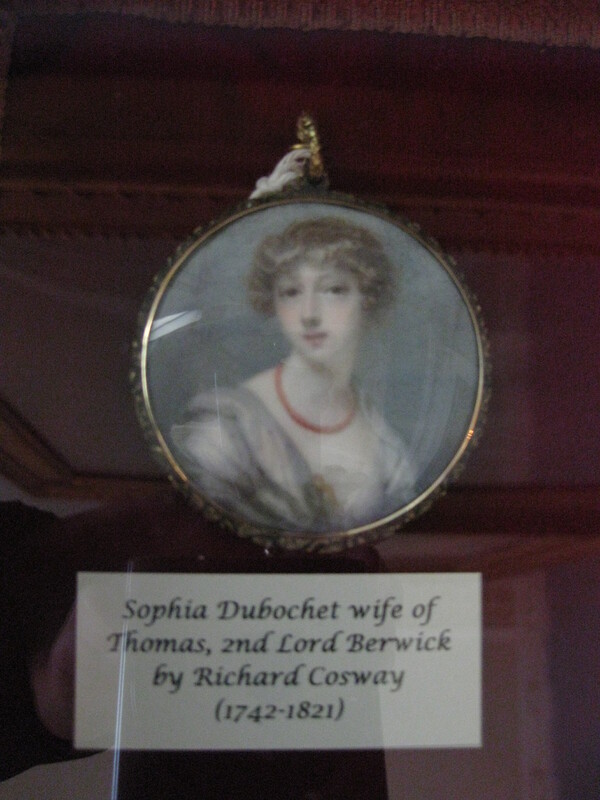 In her memoirs, Harriette said that Sophia was stolen from the nest at her parents’ house, at the age of thirteen by Lord Deerhurst, who followed her around and tempted her away with valueless trinkets. That was clearly not true. Lord Ponsonby came before Lord Deerhurst. So was Lord Ponsonby a seducer, did he go out of his way to win over a naive thirteen year old. Or had Sophia already made up her mind to follow the path of her sisters. Frances implies, Sophia had already made the decision, but she doesn’t evidence that… I am not convinced. Lord Ponsonby could easily have met Sophia through Harriette, he obviously liked young women,even his wife was young. So perhaps he fancied plucking Sophia before anyone else could. she wrote about Sophia was true, because it sounded so callous and twisted. Now I am even less sure. Sophia, may well have been bright and utterly charming. 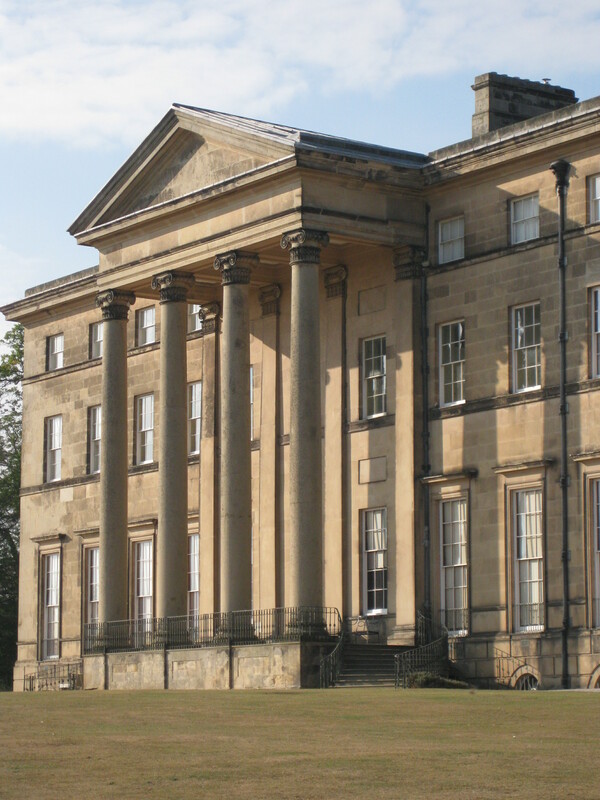 Sophia is the sister who also went on to win respectability, to marry a Baron, and live in a huge stately home at Attingham Park, and bankrupt her husband. Harriette must have truly hated her… I have never seen where the story comes from. But there is a story, which I am sure is true, that sitting in a box above Sophia at the opera, Harriette spat on her hair. I had thought it was done out of jealousy, now I understand why. Sophia stole the man Harriette loved. Many men passed between the sisters in the time they were working, but Harriette did not keep her infatuation for Lord Ponsonby a secret, and this for her was different from sharing a man she was indifferent to. Frances Wilson also records that the first episode of Harriette’s memoirs were delayed for a considerable period, because Sophia was in consultation with the publisher, about a sum to take her name out of Harriette’s book. I wonder if Harriette’s answer then was to write a vicious fairytale of lies for her sister, if she wrote lies, she could take out the truth and be paid for it, but still ruin her sister’s respectability and have some form of revenge. But then… As I said last week… Lord Ponsonby was out of the country when Harriette published the part about him. He did not have chance to buy his name out at that point, and even when he was threatened by Harriette, that she might tell stories about the other women he’d had affairs with, he refused to pay up, and there are letters from him to his friends, telling people to give her nothing… So he definitely did not pay her, or her publisher, any money. Why then did she not at least tell the truth about him? I wish I knew for certain, I don’t. Okay, so if Sophia bought the truth out of the memoirs… you say of course Harriette could not have included it. But why not show the same vindictiveness for Lord Ponsonby that she did for Sophia then? One word LOVE. She still loved him. She still would have taken him back if he’d wanted her. The letters she wrote to him, when he returned after her memoirs were published, which he kept, all allude to the fact she still had feelings for him. I shared one letter last week, where she declared if he said on his word he did not have two hundred, she would accept one. Because she was always kinder and more considerate of Lord Ponsonby. She was still in love, even after him leaving her for a sister who was younger – still a child really. Even twenty years on from when it had happened. I think I find it so particularly moving because having lived with Harriette through her words for years, to discover this horrible secret that she kept to herself, is really sad. And why on earth write and say that so many years after the event, unless you are still carrying a torch Harriette? John Ponsonby, you are a complete and utter blackguard! If I ever come across your grave I shall dance a jig on it! There won’t be a Harriette post for a couple of weeks, as I am away, but when I am back I’ll share how Harriette spent the rest of her life after she wrote her memoirs… Did she have a happy ending of her own after all? Posted on May 4, 2014 by janelark •	This entry was posted in Regency Stories, Scandalous Women and tagged 1800s, 19th Century, Attingham, Books, Courtesans, Harriette Wilson, historic, Historic Memoirs, Historical Novels, Historical Romance, history, Jane Lark, Lady Berwick, Lord Berwick, Lord Byron, Lord Ponsonby, novels, passionate, regency, regency books, Romance, Sophia Debuchet, Story, True Stories, writing. Bookmark the permalink. Have fun at RT Jane!!! !